Every Sunday, Little India of Singapore becomes abuzz with crowds of mainly Indian migrant workers claiming their hard-earned day off from the week. With not very much disposable income in hand, migrant workers often spend their Sundays frugally by simply just loitering around the streets and alleys in the vicinity – blending in with the locals and doing nothing yet seemingly everything at the same time for themselves. Yet for the most part of this recurring weekly routine, they seem to be at peace and able to find sufficient joy while they are at it. 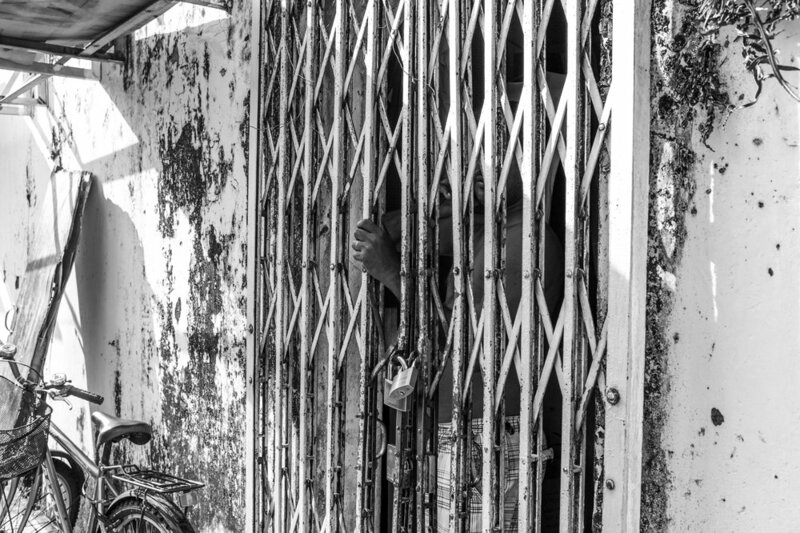 This series of photographs depicts scenes that can be sighted in Little India on a typical Sunday, and seeks to provide a better glimpse of the simpler ways of life that the streets are offering to their weekly patrons. Street bazaar. 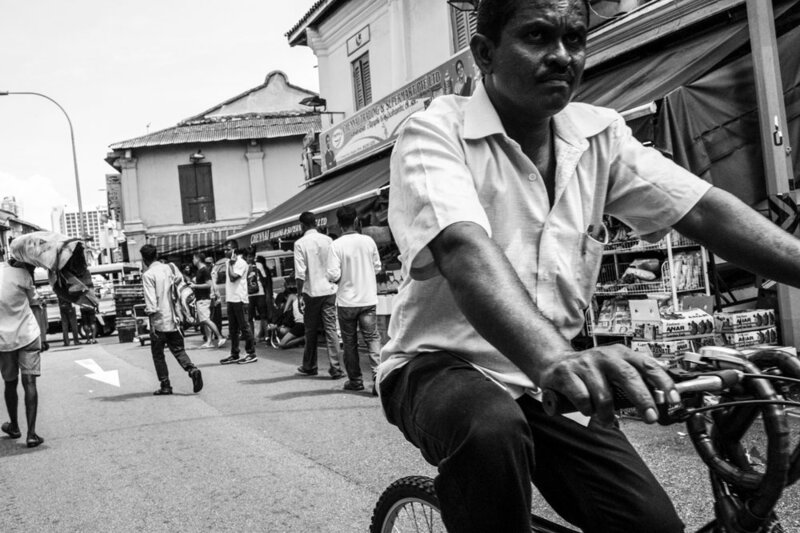 A cyclist passes through one of the busiest streets in Little India where food, groceries and supplies are sold and serviced mainly to migrant workers. Back alley fun. Two men enjoy a private and comfortable moment of banter in a back alley. Services on a fast lane. 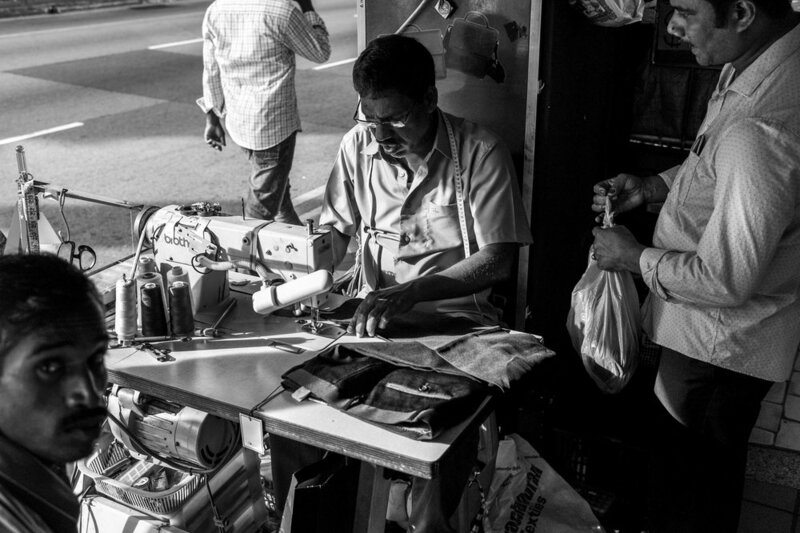 A roadside tailor enjoys a relatively brisk business day as customers come forth to have their garments fixed. A simple pastime. Men stand and occupy the streets for long hours singly and in cliques, almost as if to see and be seen only . The parrot astrologer. A man offers to tell the fortune of passersby with the help of his parrot and a deck of playing cards. Staying shuttered. A resident prefers to stay shuttered in his abode instead of joining in the hustle and bustle outdoor. Necessary accessory. 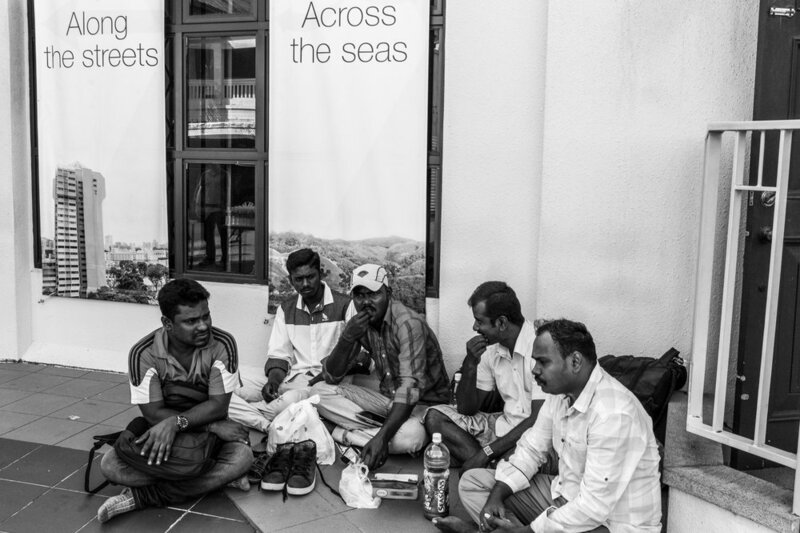 Mobile smart phones appear to be an indispensable accessory for migrant workers. Peer over any one of their shoulders and one will likely find their distant sweethearts or families on the other end of the connection. Dhoby. A man openly airs and displays his laundry among his contemporaries' along an alleyway. Sporting at heart. 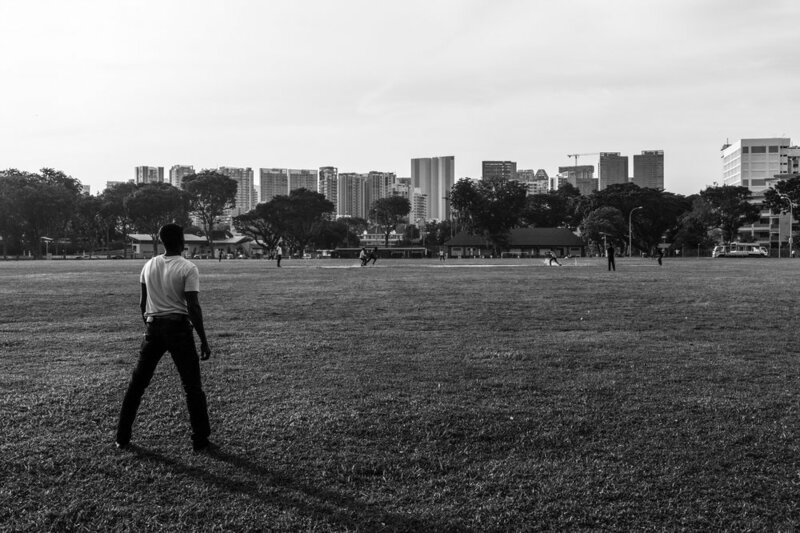 Migrant workers pitch themselves against one another over a game of cricket. Cricket is a national sport back in their home country. A hang out spot. Men hanging out and having snacks outside a church building where free meals are sometimes handed out by volunteers to the public.